Sherwin-Williams took a look around and created color palettes based on state's "unique landscapes" and the paints they created to represent Minnesota came out great. Like what you see in the photo above? 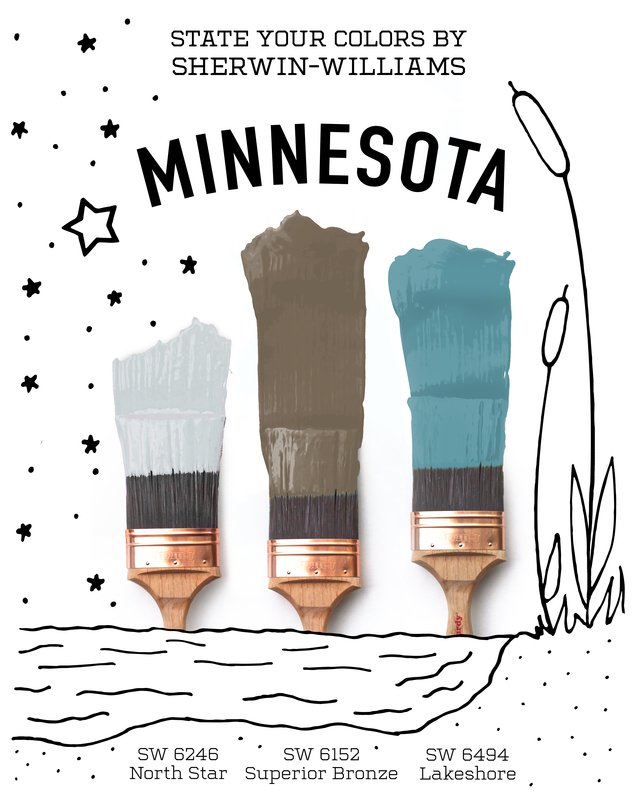 Get started on your next paint project by downloading the Minnesota palette. Featuring North Star SW 6246, Superior Bronze SW 6152, Lakeshore SW 6494. If you're not feeling "Minnesota" there are several other state's offered by the paint company with their "State Your Color" campaign. Sherwin-Williams has three locations in Rochester. Download our app to win Kelly Clarkson Tickets!